Burglars were disturbed when they broke into a house in Hemel Hempstead last weekend, but not before they managed to leave the scene with cash and jewellery. The break-in took place in Meadow Way, at around 2pm on Saturday, July 9. They were disturbed by the home owner but managed to escape the scen. 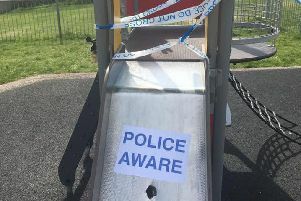 Herts Police would like to speak with anyone who was in the area at the time and saw what happened or who has any information which would assist the investigation. If you can help, contact the Herts Police non-emergency number 101 quoting crime reference number D1/16/4935. No personal details are taken and you will never need to go to court.